Who doesn't love the scent of marshmallows roasting on the fire? A jar full of cozy! 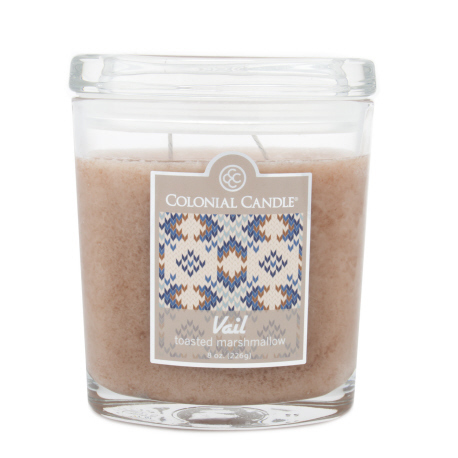 This flavorful fruity scent combines Blackberry, Nutmeg, Warm Oak and Amber and will warm your senses like a glass of your favorite wine. The clean, invigorating scents of frosted air, bergamot, sandalwood and geranium will 'lift' your senses. All of the scents in the Vail Collection are sold exclusively by Colonial Candle. The 8-oz. jar candles are crafted from premium wax, include cotton wicks and have a burn time of up to 50 hours. They retail for $15 each. 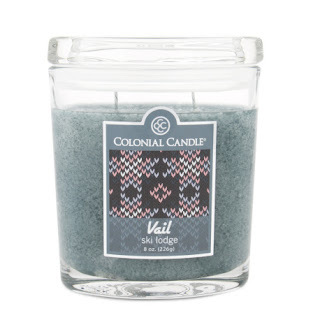 Free shipping with a $75 purchase at ColonialCandle.com. 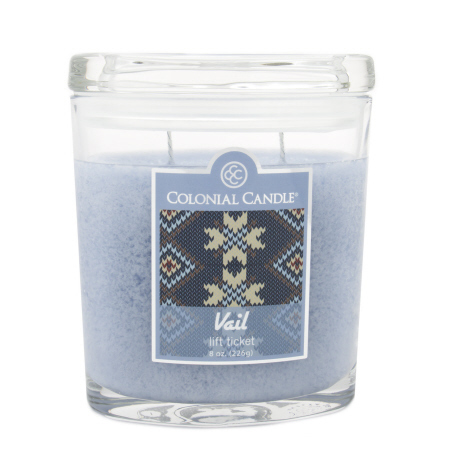 Get social with Colonial Candle on Twitter, Facebook and Pinterest. 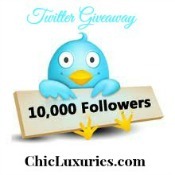 Chic Giveaway! ~ Our friends at Colonial Candle are gifting one Chic Luxuries' reader the four candles we received! 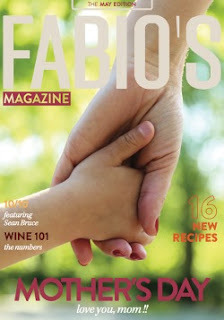 Don't miss future giveaways...like us on Facebook, follow us on Twitter and Pinterest and please continue to share our tweets, pins and fb posts. 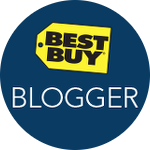 Contest ends 11:59 PM ET September 17, 2013. 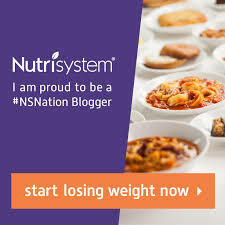 Limit one entry per person and email address. Winner will be notified by email and announced on our Winner's page. Winner will have 48 hours to claim prize. Open to US Residents 18 years of age and older. 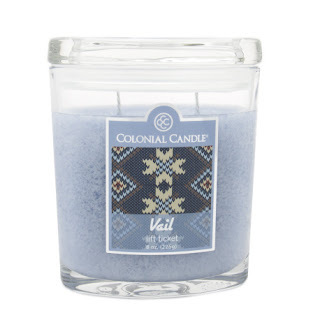 Many thanks to Colonial Candle for gifting us these fabulous candles and sponsoring this giveaway. Photos courtesy of Colonial Candle. I love these these candles! 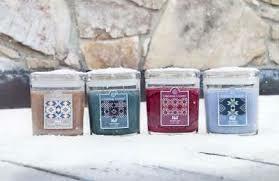 I WOULD LOVE TO WIN THESE CANDLES!